VATICAN CITY (CNS) — Idolatry is a human inclination that spares neither believers nor atheists and deprives people of life and love in exchange for slavery to unfulfilled dreams, Pope Francis said. 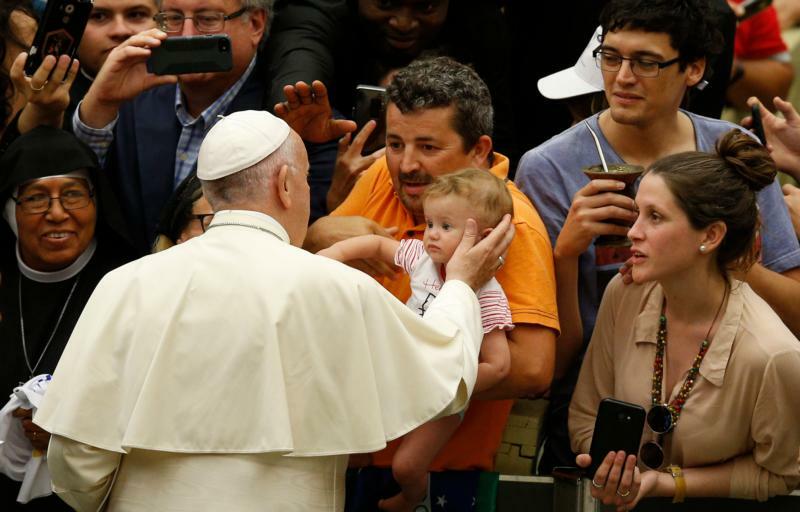 Although wealth, fame, beauty and power differ from the idols of ancient times, they all require “a human sacrifice,” the pope said Aug. 1 during his weekly general audience. “Idols demand blood,” Pope Francis said. After a month’s summer break and as temperatures in the Eternal City reached nearly 95 degrees, the pope resumed his audiences inside the air-conditioned Paul VI audience hall. Christians, like anyone else, can fall prey to the world’s “supermarket of idols,” relying on earthly goods rather than on the spiritual goods offered by God through prayer, the pope said. Over time, the pope continued, a person’s idol evolves into a “fixation and obsession” that has the power to enslave.